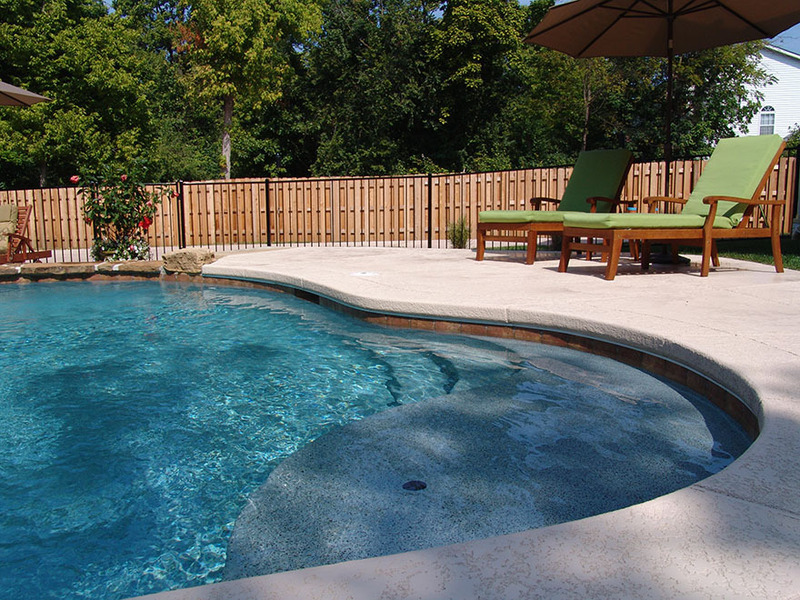 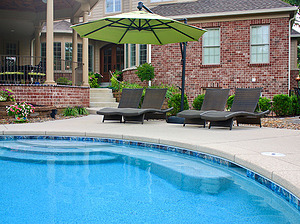 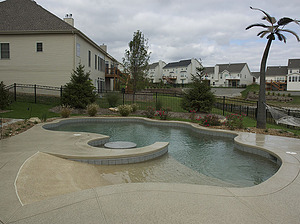 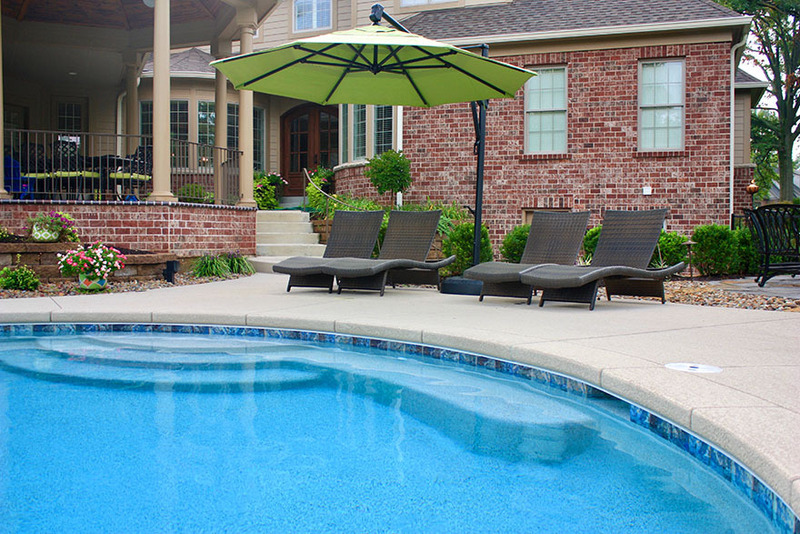 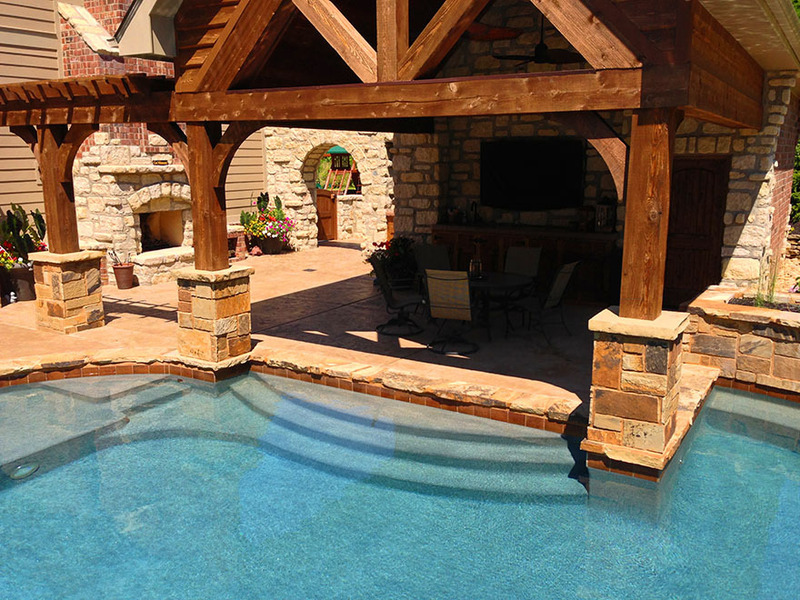 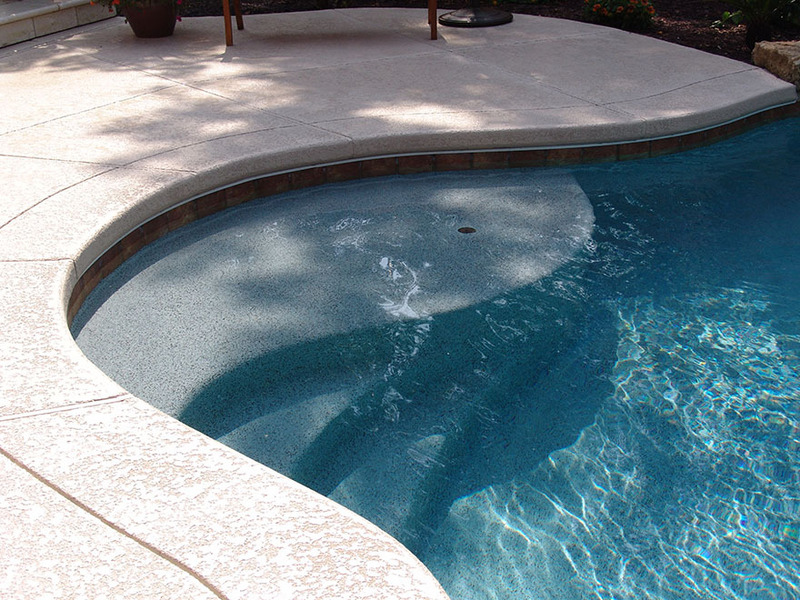 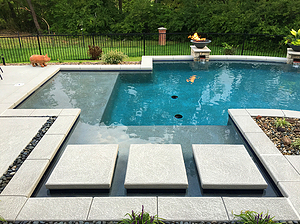 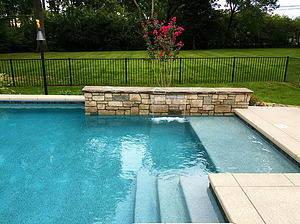 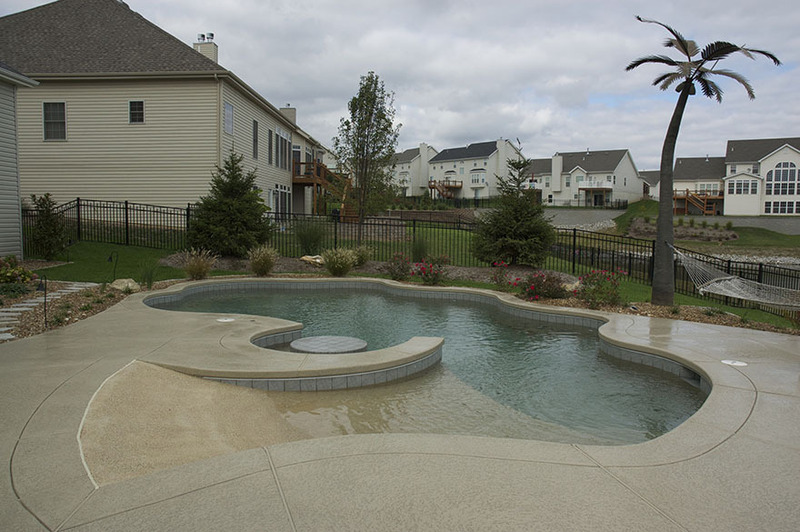 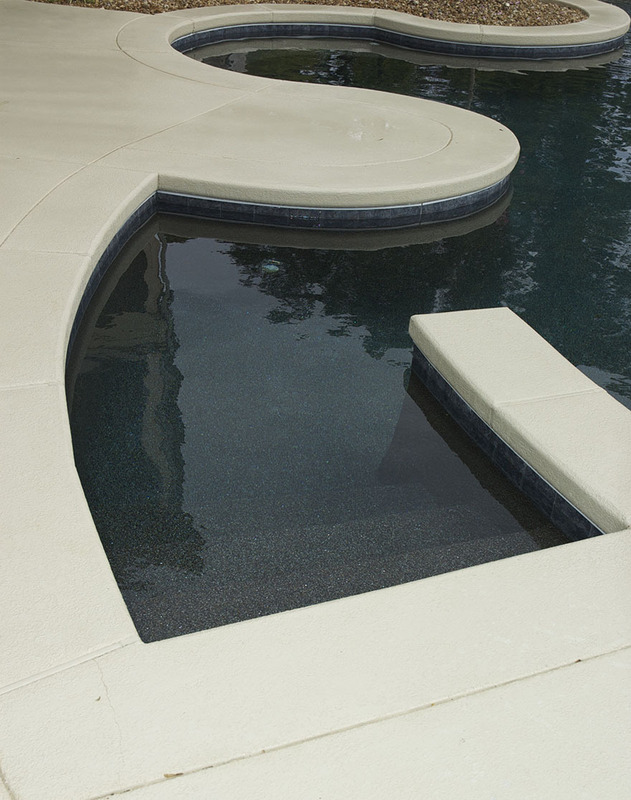 Depending on the style that you are trying to achieve, Baker Pool Construction offers several different entry options for your new swimming pool. 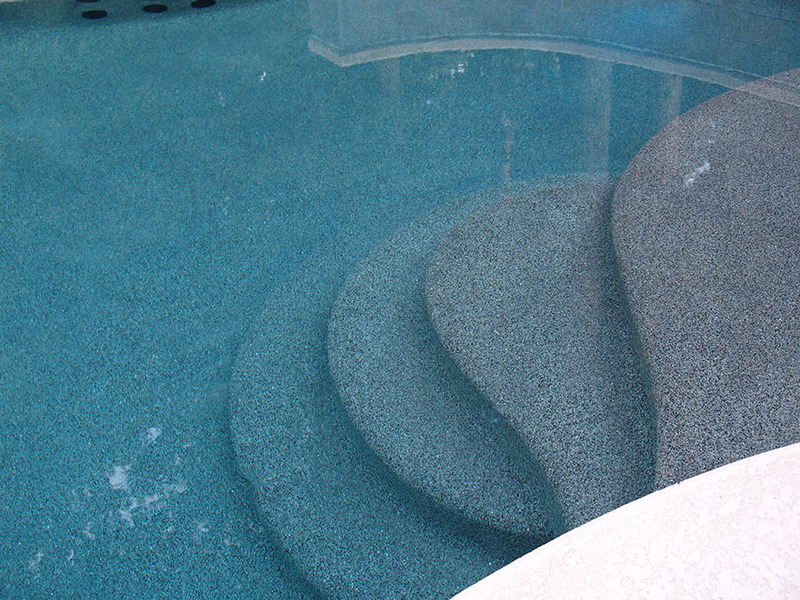 The most common entry option is cement steps. Many of our clients choose to add a tanning shelf (an oversized 2nd step in the water) that allows sun bathers to enjoy the cool water while catching some rays. For those with small children, tanning shelves also provide an area where the little ones can play in the water without it being too deep (tanning shelves typically reside in 14 inches of water). If stairs don't appeal to you, you may also choose a beach entry option. 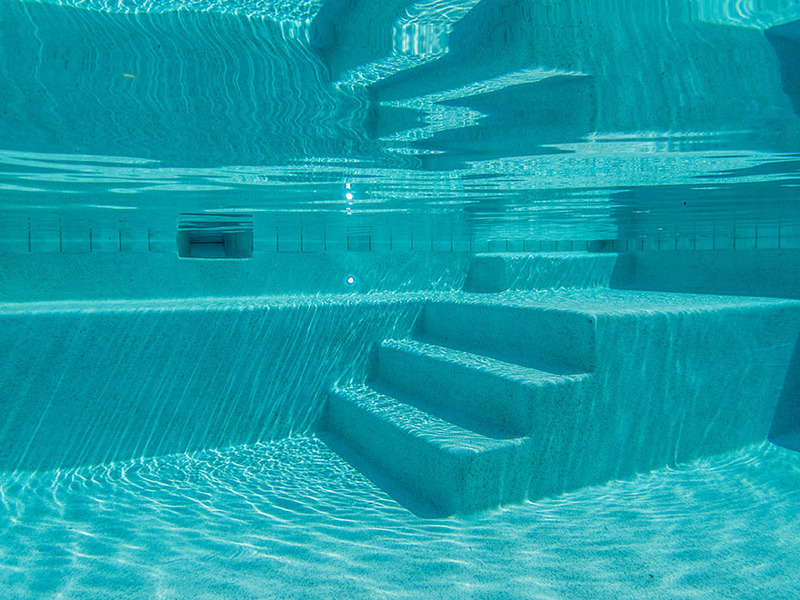 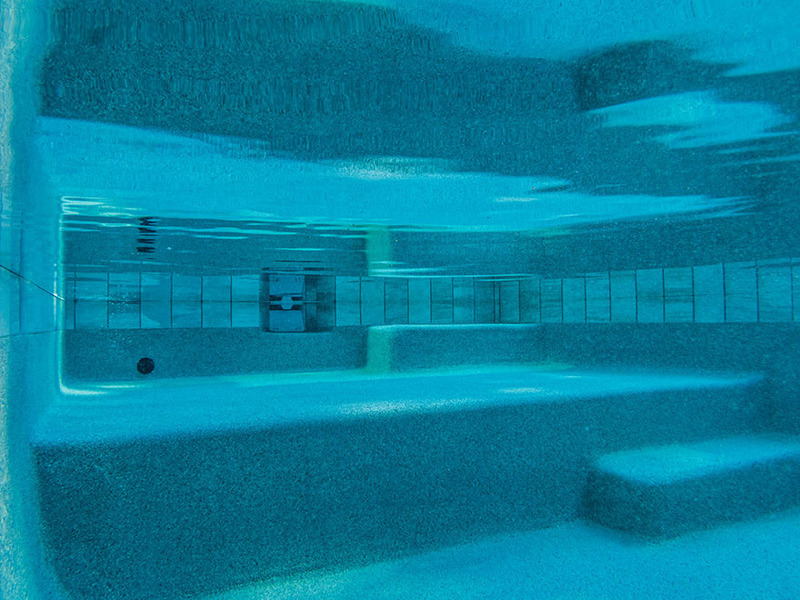 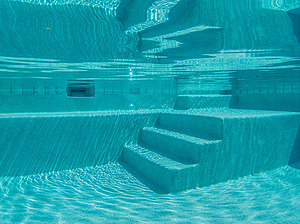 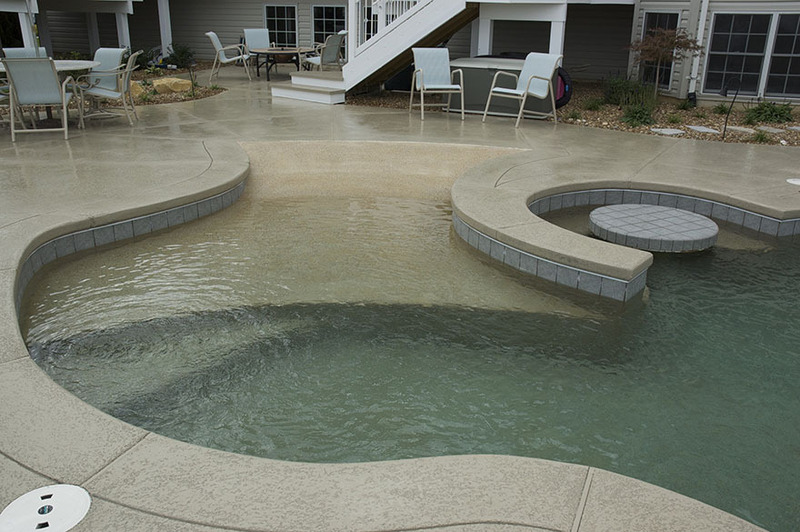 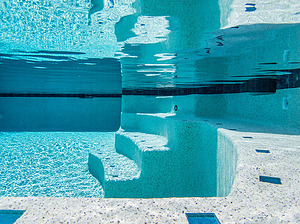 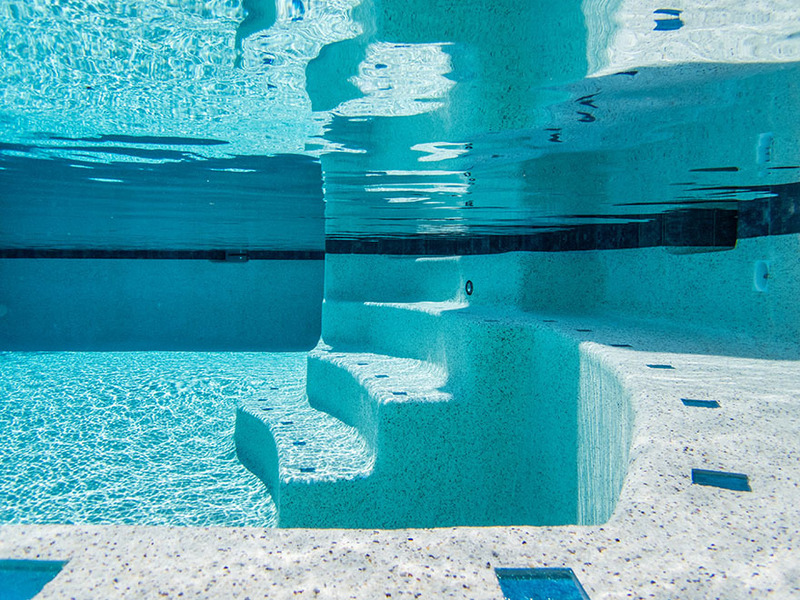 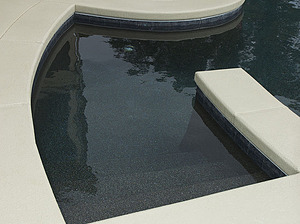 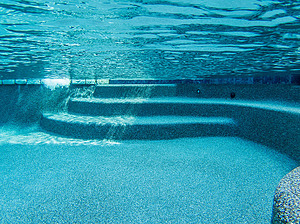 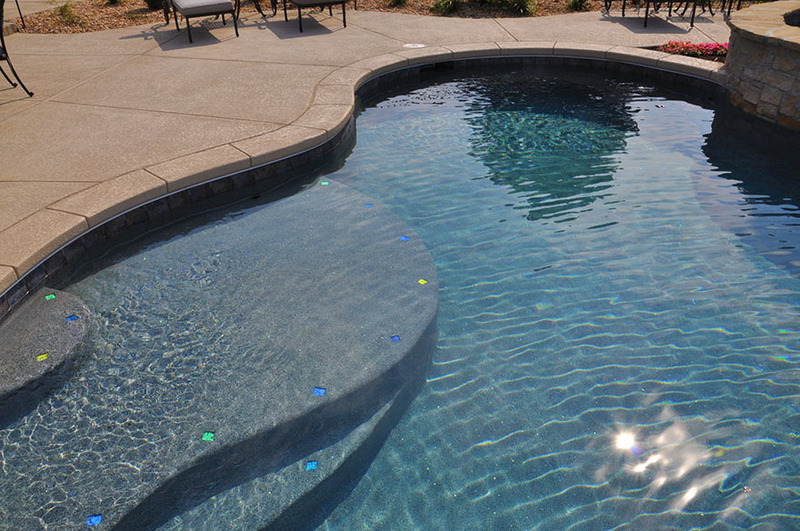 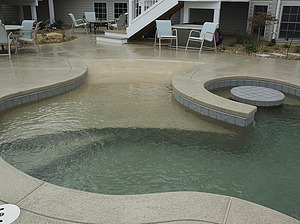 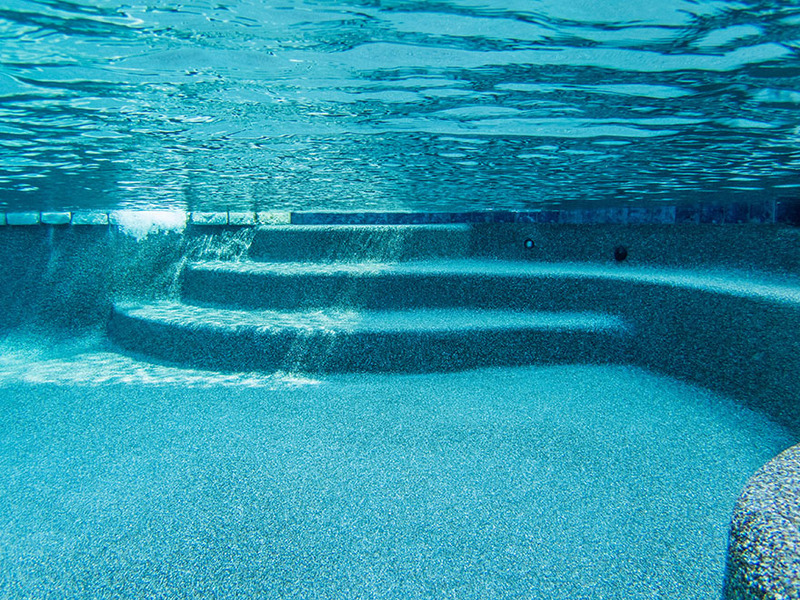 Beach entries mimic the feel of walking into the ocean and can make it much easier for children, older adults and individuals with mobility issues to enter and exit the pool.